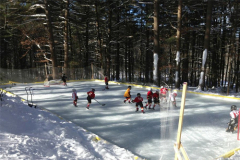 Looking for a great way to keep the kids busy this winter? 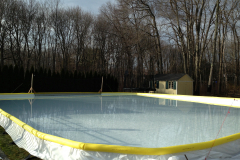 Make the most of the long winter months and have Ambrosio Landscape Solutions install an outdoor ice rink right in your own backyard! 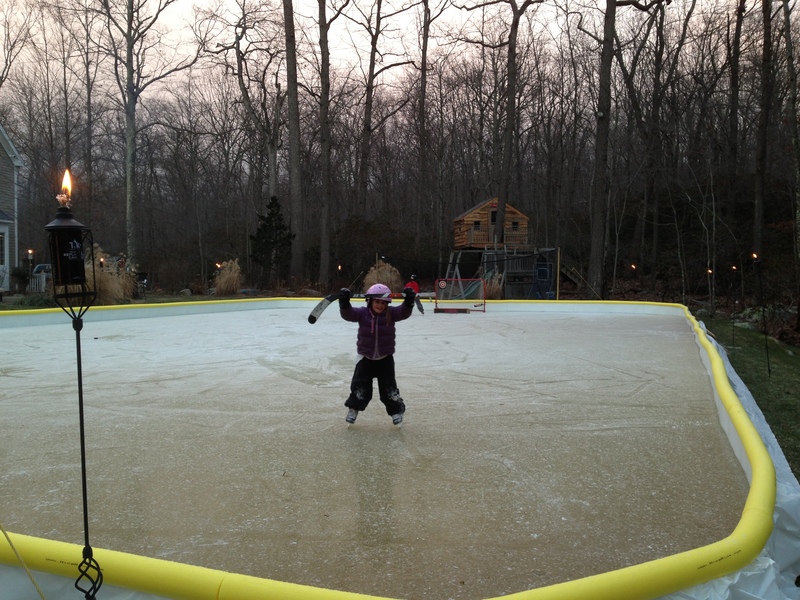 Get the kids outdoors and teach them the joy of ice skating and playing hockey right at home. 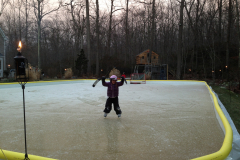 Ambrosio Landscapes is a professional home outdoor ice rink installer for CT and NY. 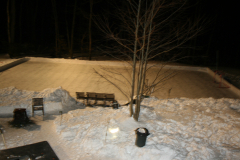 Imagine, stepping out the back door, into the crisp winter air, past the warm glow of a fire pit, under the winter sky riddled with stars and onto a pristine slab of untouched marble ice that is yours to carve. Your outdoor rink will be the envy of all when you invite the gang over for some outdoor winter social gatherings. Think about it: that extra ice time will help your kids further enhance their skating and puck-handling skills and make all those trips to the rink pay off. Plus, it’s a great opportunity for the family to spend time together, enjoying the great outdoors. All of this in the comfort of your own backyard! Don’t be discouraged if you property is not level or if it’s currently wooded. 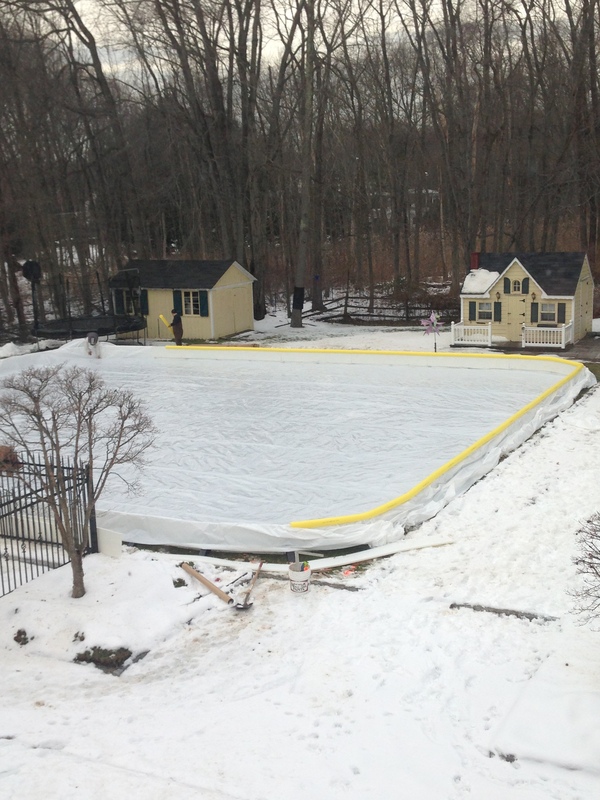 No matter what type of yard you may have the knowledge and work force need to create a backyard to accommodate your outdoor ice rink. And best of all when the spring arrives and we remove your rink, you will then have that backyard you always have dreamed about. Ambrosio Landscape Solutions handles the entire process form design to construction and will even customize maintenance program to maintain the ice. 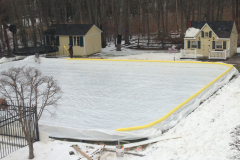 Ambrosio Landscape Solutions is a proud distributor and installer of NiceRink Ice Rinks the world's leading manufacturer of backyard ice rink components . There is no reason to let the winter blues keep you crammed indoors, call Ambrosio Landscapes today for a free consultation. 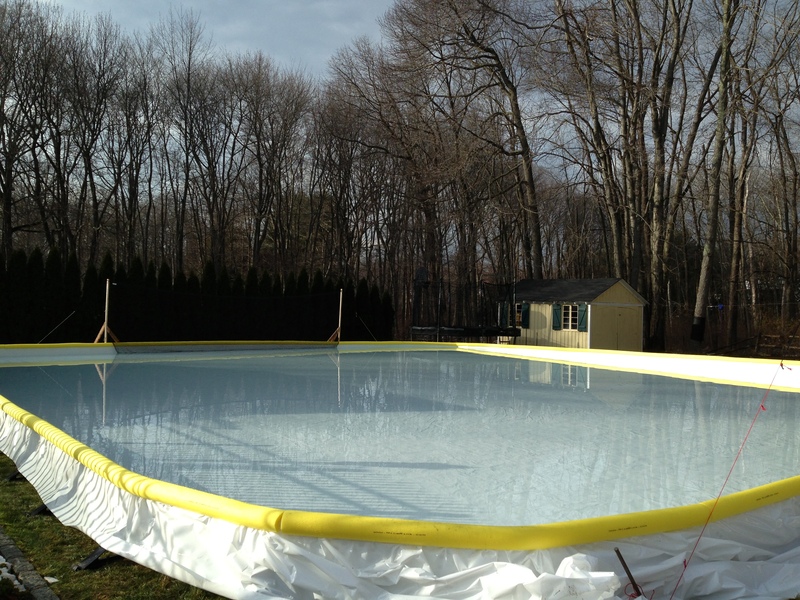 to plan out the perfect home backyard ice rink for your home.